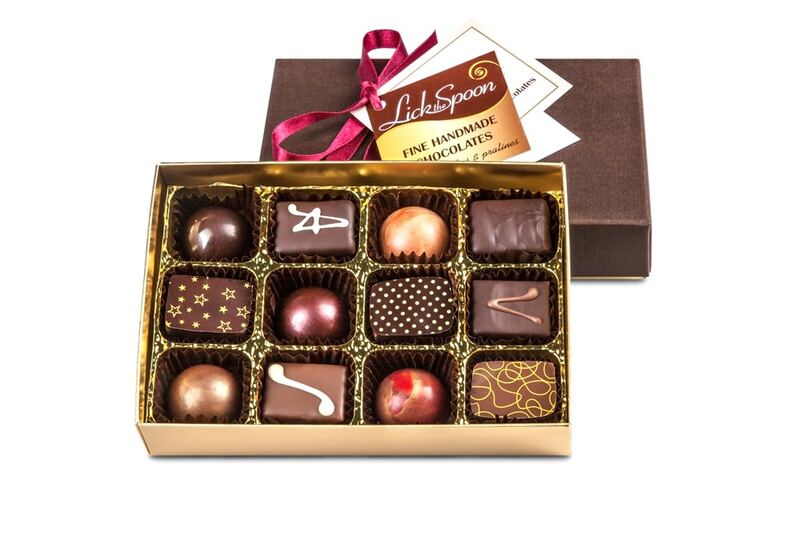 A box of Milk chocolates selected from our award winning fine handmade ganaches and pralines. This will be predominantly a milk chocolate selection. 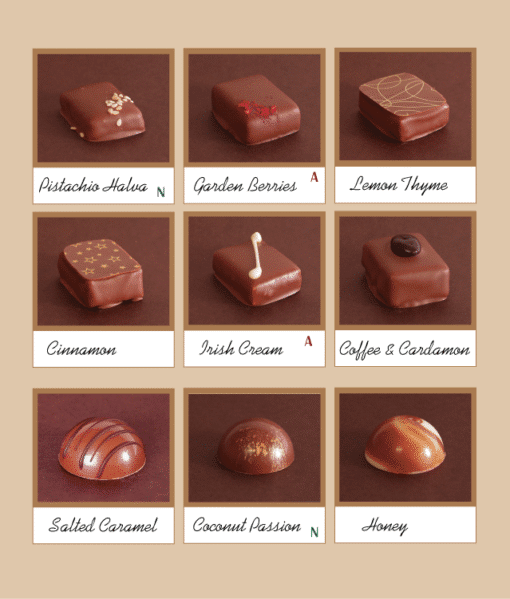 A box of Milk chocolates selected from our award winning fine handmade ganaches and pralines. This will be predominantly a milk chocolate selection though we may include some dark and white chocolates for larger boxes of chocolates. Our house blend milk chocolate is a minimum 40% cocoa solids. I would just like to let you know how pleased I am with the service that I have received from your company. Firstly, after I had mistakenly placed a double order, you cancelled it with out any dispute. And most importantly, the recipient of the chocolates, my sister was with delighted with them. 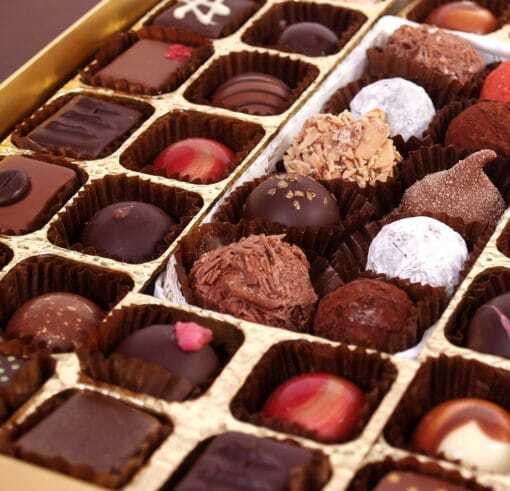 She said that she had never tasted chocolates so nice and will be ordering from you in the future. Thank you for helping cheer up someone who was feeling under the weather! The chocolates were bought as a present so I’m afraid I haven’t yet tasted them. However, your customer service and attention to detail is appreciated and definitely worth 5 stars. My husband and I stumbled by your chocolates in the farmers services. They are exquisite. 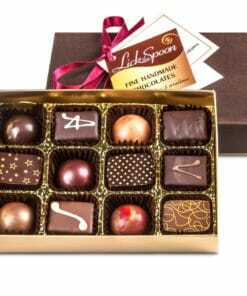 The chocolates taste so fresh and kept their individual flavours despite in a mixed box. Fabulous – my wife thinks these are the best chocolates ever. She was especially appreciative of your latest box which contained no coffee chocolates but extra caramel ones. Thank you – chocolate perfection.